Mercedes-Benz complaints number & email. Get verified information about Mercedes-Benz complaints email & Phone number. Call 1-800-FOR-MERCEDES (1-800-367-6372) to make a complaint to Mercedes-Benz about their service. They expect to be able to resolve the majority of complaints at this stage, but if not there are basic further steps to take to seek a resolution. The website explains things clearly. Mercedes-Benz operates an easy to follow complaints procedure. The first step is to call the complaints line on 1-800-FOR-MERCEDES (1-800-367-6372). If yours is not, then the subsequent steps to take are clearly shown on the website. Mercedes-Benz was founded in 1926 by Karl Benz, Gottlieb Daimler, Wilhelm Maybach and Emil Jellinek, whose daughter Mercedes is our original namesake. The brand is known for luxury vehicles, buses, coaches, and lorries. Mercedes-Benz traces its origins to Daimler-Motoren-Gesellschaft’s 1901 Mercedes and Karl Benz’s 1886 Benz Patent-Motorwagen, which is widely regarded as the first gasoline-powered automobile. Hopefully, We helped you to get some genuine records for Mercedes-Benz Complaint information. 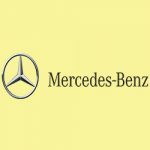 Use below complaint form to discuss problems you have had with Mercedes-Benz, or how they have handled your complaints. Initial complaints should be directed to Mercedes-Benz directly. You can find complaint contact details for Mercedes-Benz above.